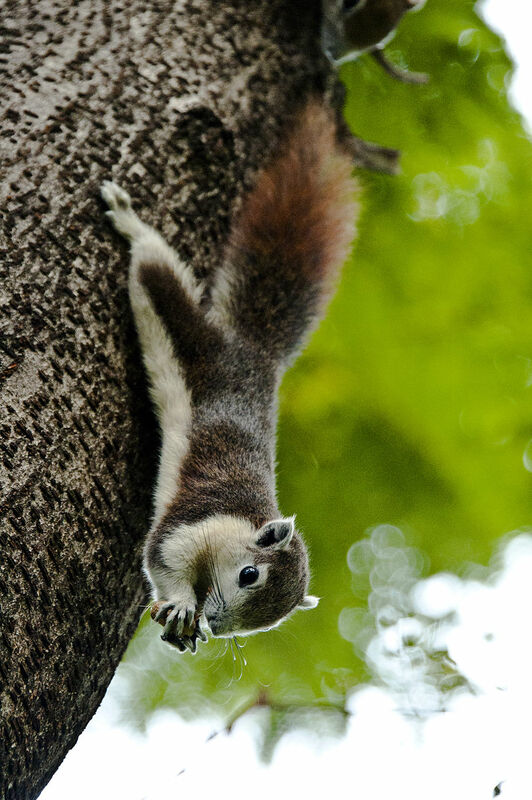 “Callosciurus finlaysonii – Finlayson’s squirrel (variable squirrel)” by Rushenb – Own work. Holy crap, I just looked up and realized it’s September! Where did the time go? I had the best intentions, I was going to post something new once a week, or maybe every other week, but here I am over six weeks later. And what do I have to show for myself in that time? Let’s see, I finished the final draft of A Vortex of Crimson and submitted the manuscript to my publisher, completed the final edits on Heights of Green, and started writing again on my current work: Five Moons Rising. I completed a proposal for that and submitted it to my publisher. If they’re interested, I’ll be working on delivering it to them in April of 2016. Then there’s my regular full-time job. I love what I do, but it is 40 hours a week I can’t spend on writing. Finally, family life has been a big commitment I hadn’t counted on. My personal life has been in flux for the past year-and-a-half, but this past spring I moved in with my girlfriend. It’s been great and wonderful and I’m incredibly happy. I’m also learning what it’s like to live with kids. That’s definitely a new experience for me. They’re great, and I really enjoy interacting with them and finding out what makes their squirrely little brains tick. I’m surprised more often than not by what they’re thinking. It’s been a while since I was their age and I only have the vaguest recollection of what it was like to be an almost-teen. Schedules and deadlines have always been important to me, but kids throw a heaping double-handful of chaos into the mix, or so it seems to me. I have a much greater appreciation for what my parents had to deal with between my three brothers and me. In all that chaos, carving out some time for writing has become a much bigger challenge than it was when I was dealing with the slow disintegration of my previous relationship. I think there’s something to the idea that creation happens best through unhappiness. While I don’t agree that great works can only be created when one is unhappy, there’s a certain something to be said for being able to seek refuge from your life in your art. Now that I no longer feel the need to hide from my life, I’ve had a harder time motivating myself to set time aside to attend to my writing. That’s not to say that I don’t feel the urge to write, I do. I have notes scribbled all over the place, just waiting for that magic moment when I’ll have the time, the inclination, and access to my computer. Sadly, those magic moments don’t come along very often (read: at all). What it comes down to is that I got out of the habit of writing every day. The habit may have been formed as a response to my own unhappiness, but it was habit nonetheless. It’s up to me to reforge the habit under happier circumstances and to see the kinds of stories that result from a better place. I’ve taken the first step and I’ve written every day (with a small break to explore caves in Iowa with the family). I’m making progress, though the words still aren’t flowing the way they were when I wrote for 512 straight days to get the On Deception’s Edge trilogy out of my head. It gets easier every day, and I’m excited to see how Five Moons comes out.